Items are central to your auction! Market auction items with captivating descriptions and photos. Proper marketing is essential to securing initial and subsequent bids. Use vivid item descriptions to market first, then sell. 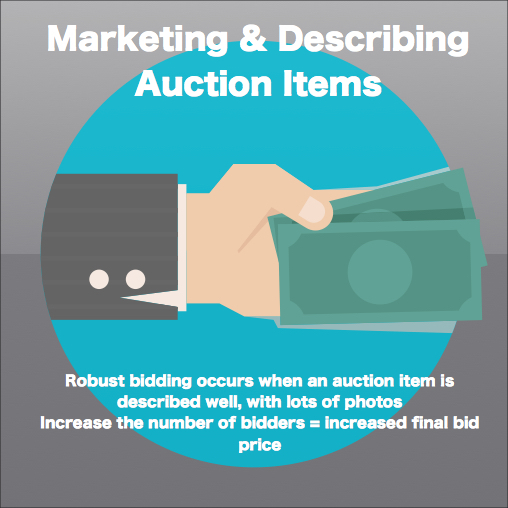 Robust bidding occurs when an item is demand, an item is in demand when it appeals to a large number of bidders. Promote the auction to increase the number of bidders. Auctria program generates the entire auction look that is both captivating and professional. Choose from over a dozen website templates. Modify and create the auction theme and content. Auctria has built the framework, just load the details and publish. Services-how will this item make me or my family feel? Goods- how will this affect the donor in a personal way? 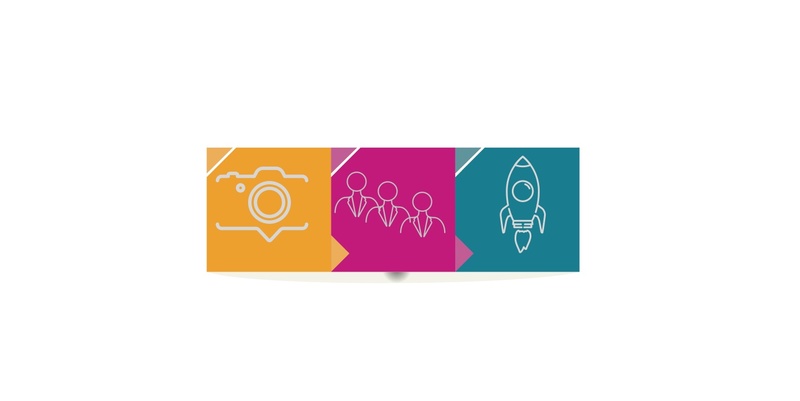 Experiences- What forever memories will be created with the experience? and with whom? Priceless- why is this item a true treasure and how will it delight? Auctria features the ability to load single or multiple photos for each item. Multiple photos create a mini-scroll that captivates. 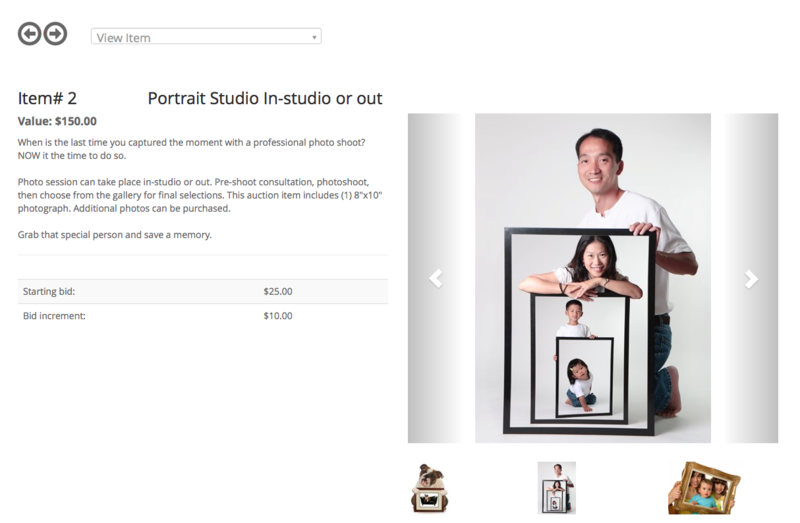 Use lots of pictures, gain bidders, rocket bidding up-and-up! 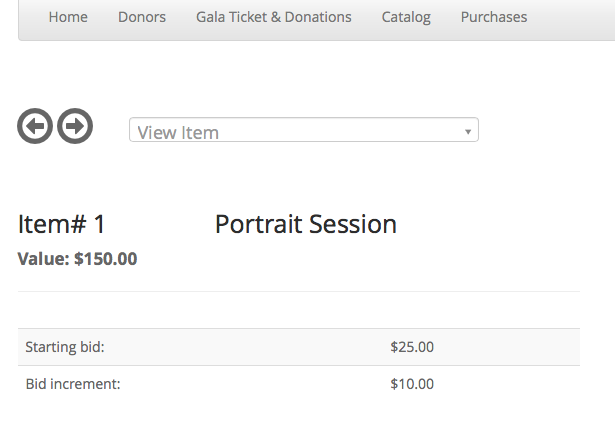 Consider this, which Portrait Session would you prefer to bid on? #1 with minimal information or item #2 with lots of information and pictures?